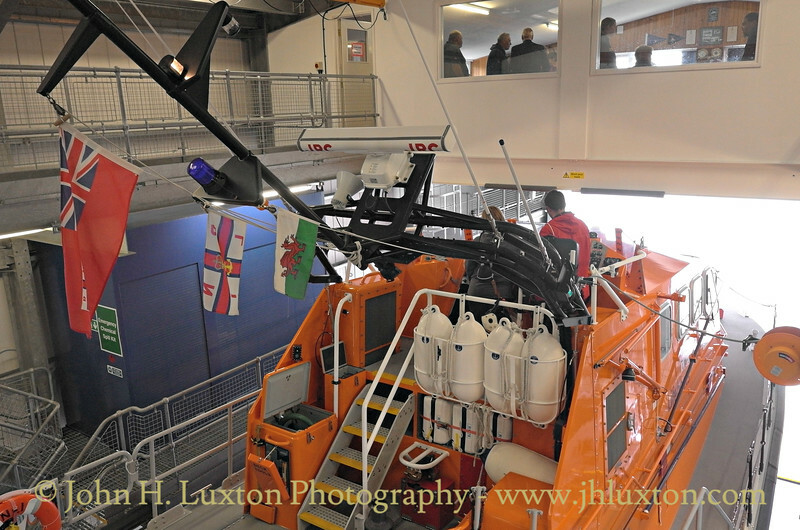 Angle Lifeboat Station (near Angle, Pembrokeshire, Wales) first opened in 1868 after a letter from the local Coastguard requested a lifeboat station within the Milford Haven. 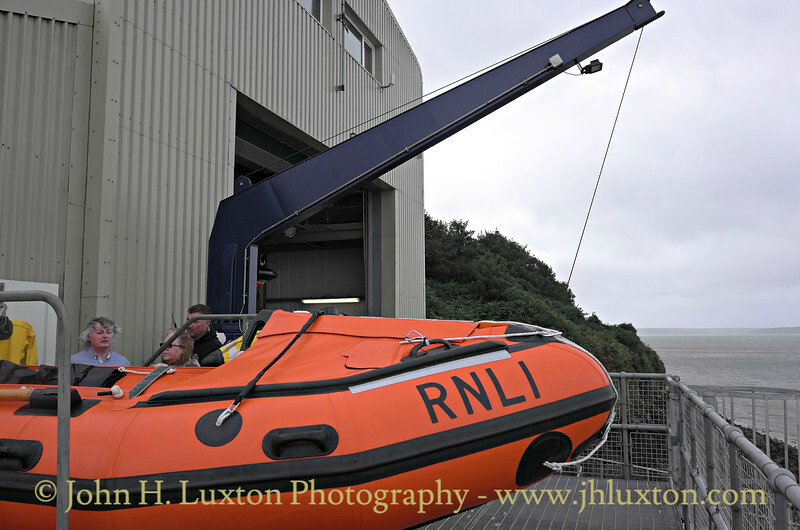 The station was originally called Milford Lifeboat Station until 1892 when it was officially changed after an RNLI Committee of Management meeting. 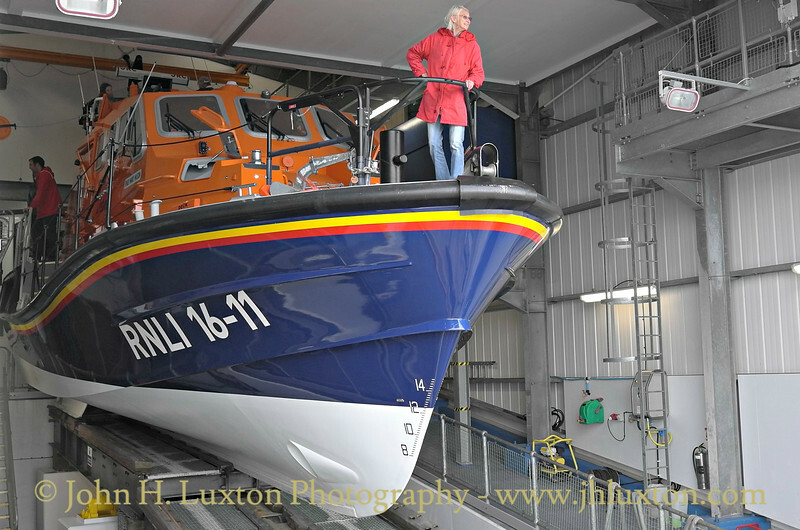 In the 1990s an inshore lifeboat station was established and in 1996 a D-class lifeboat, D-493 Isabella Mary began service at the station. 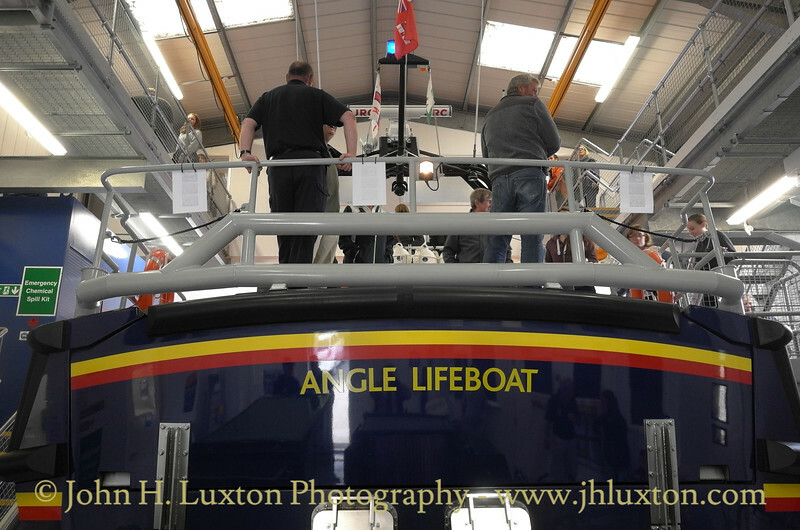 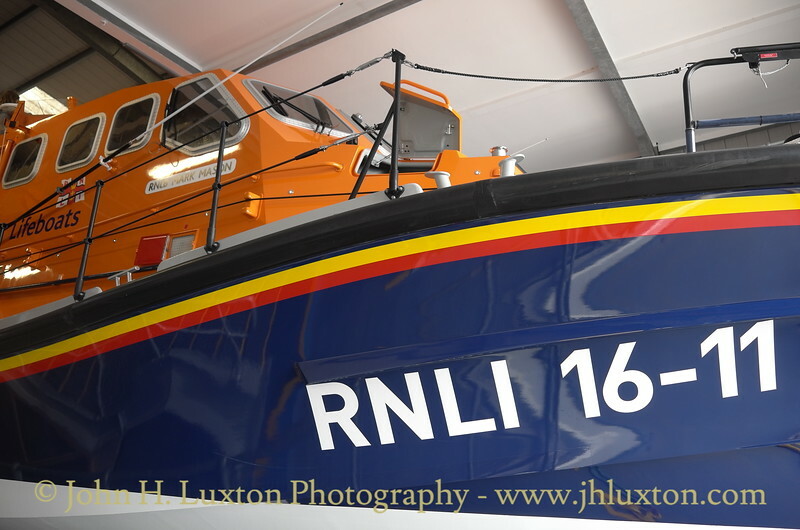 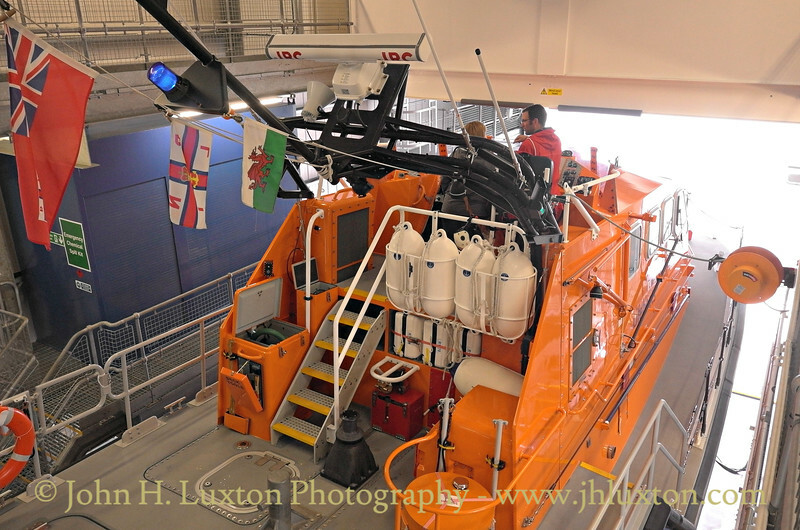 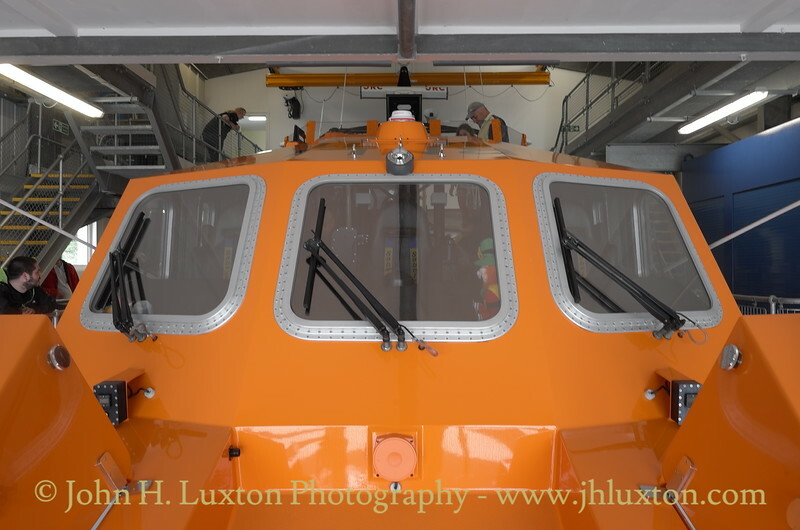 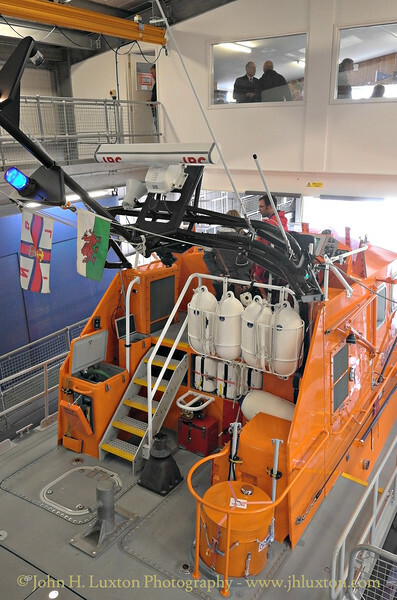 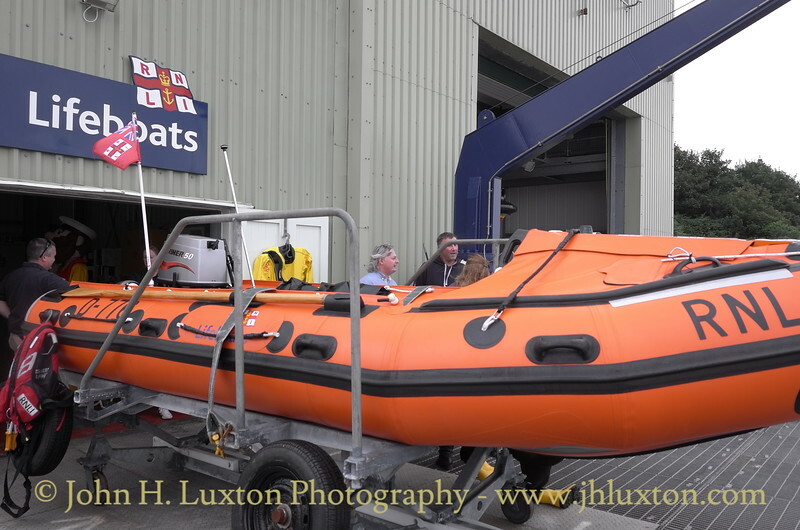 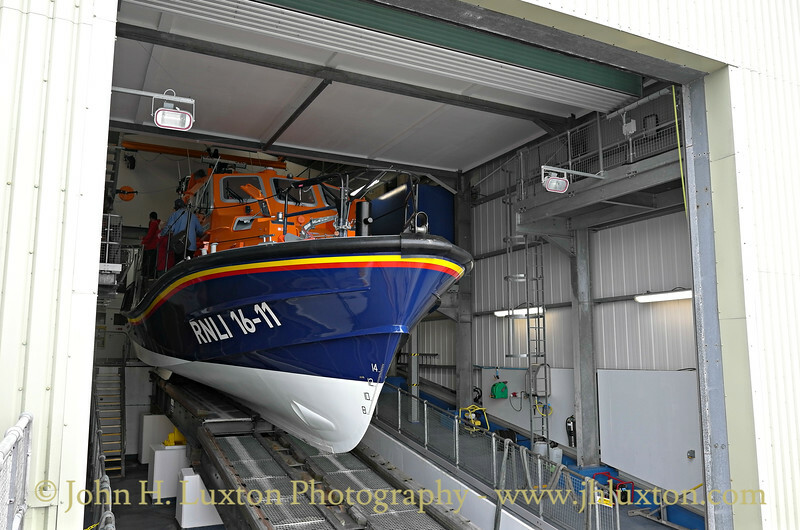 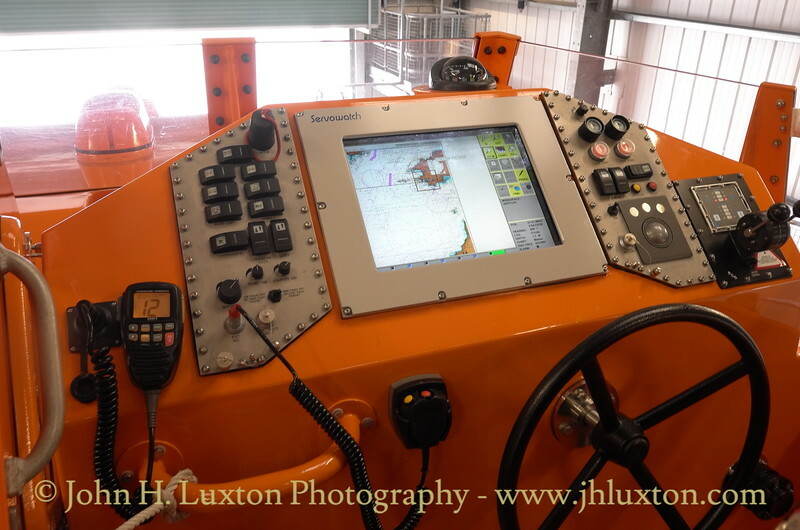 The 1992 all-weather lifeboat station was able to be adapted for the new, larger, Tamar class lifeboat and in 2009 the station took delivery of the Tamar-class, 16-11 Mark Mason. 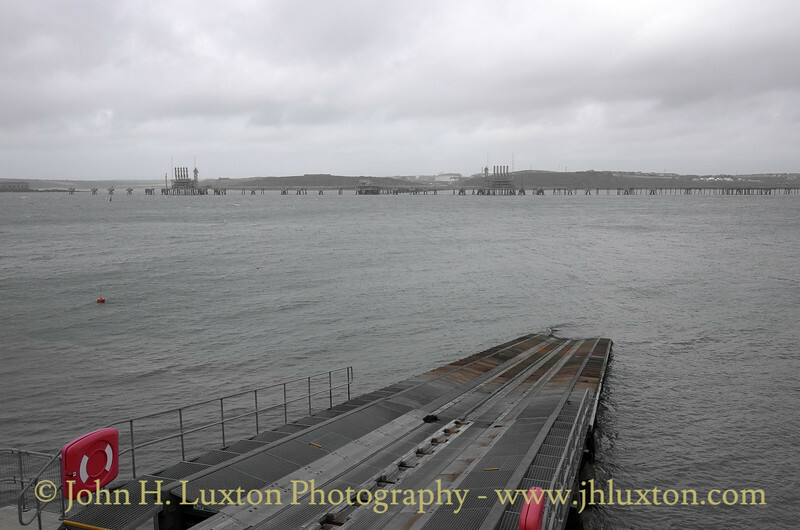 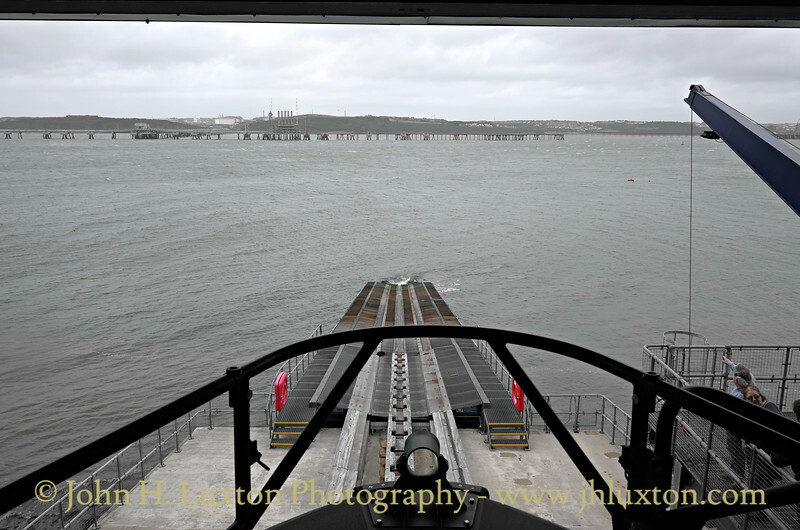 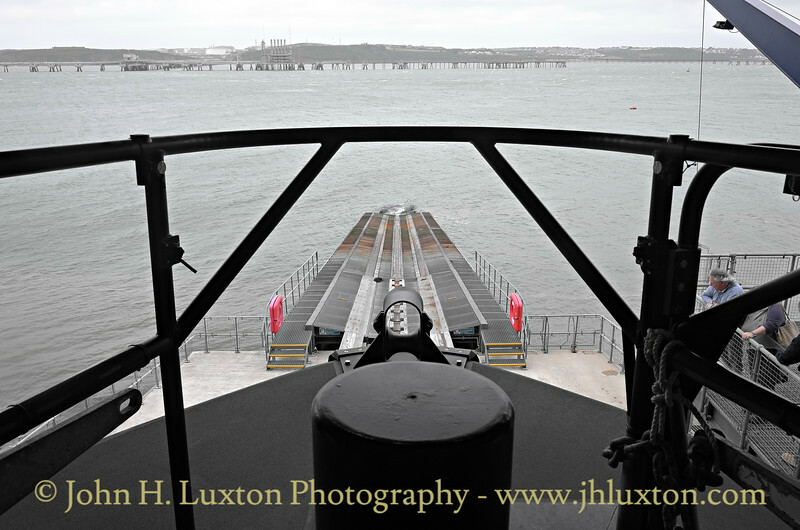 View from the bow of RNLB MARK MASON down the slipway into Milford Haven waterway. 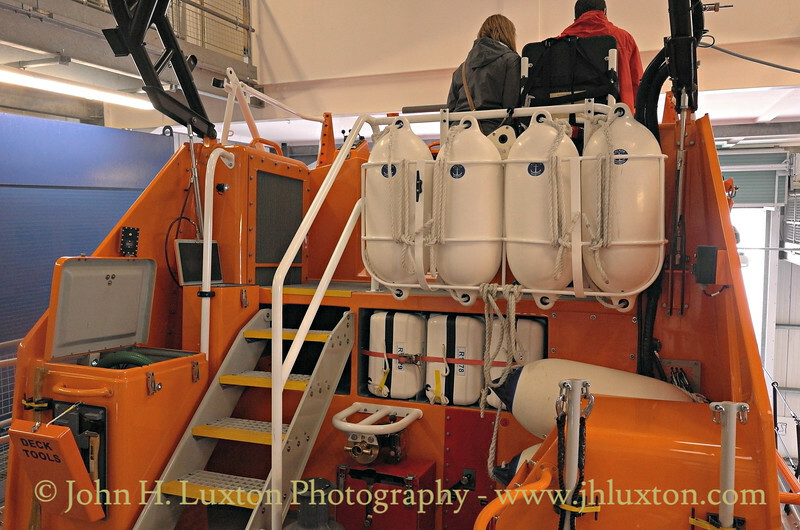 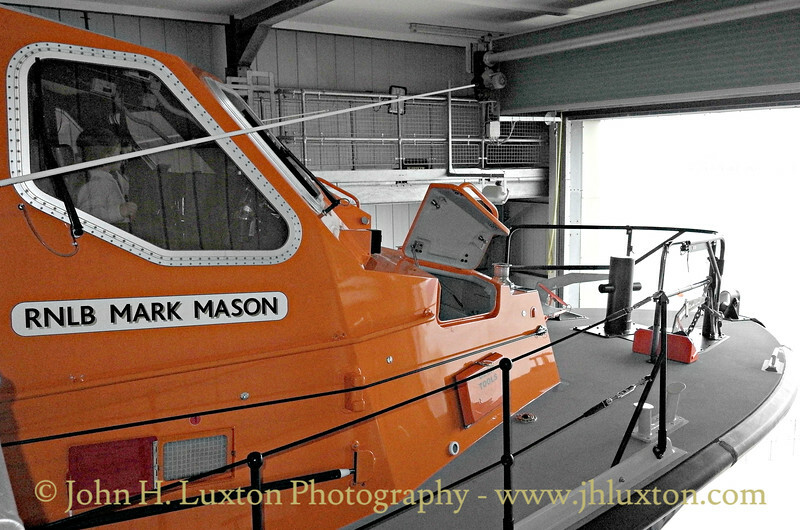 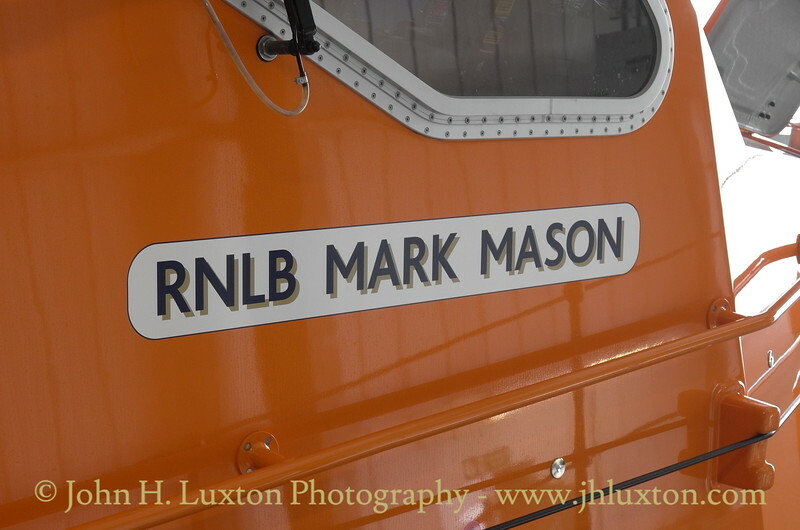 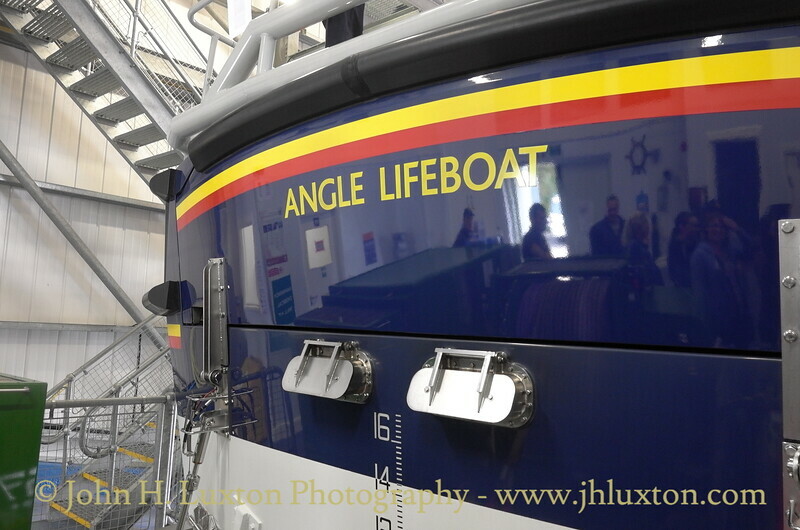 RNLB MARK MASON - the windows are in the lifeboat house crew room. 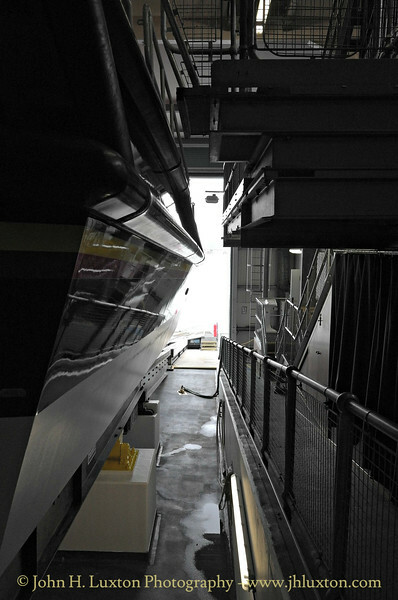 View down the starboard side of the boat. 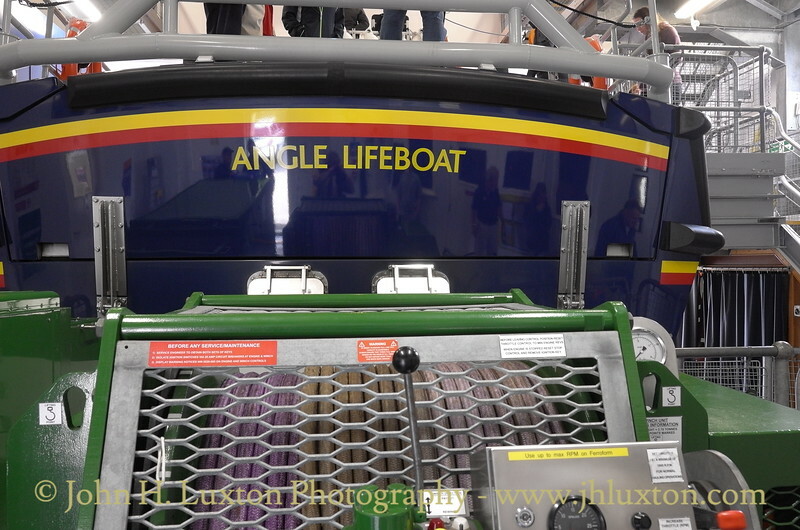 Recover winch and stern of the Angle Lifeboat MARK MASON. 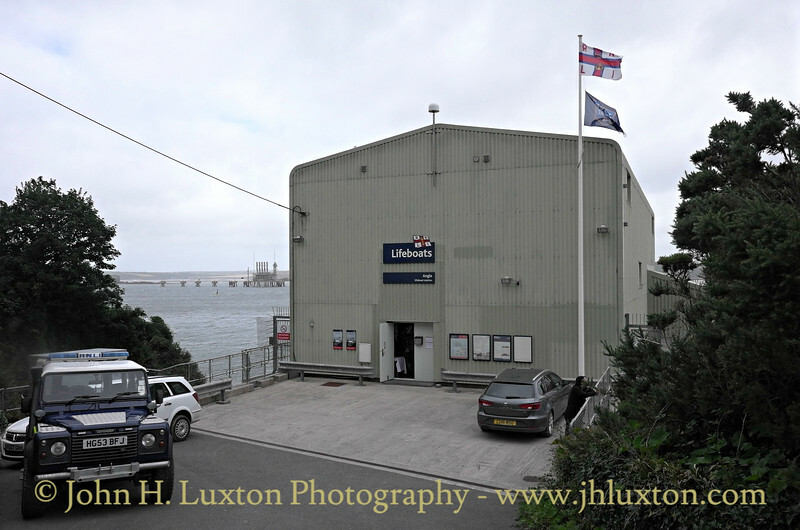 The exterior of the lifeboat station completed in 1992.